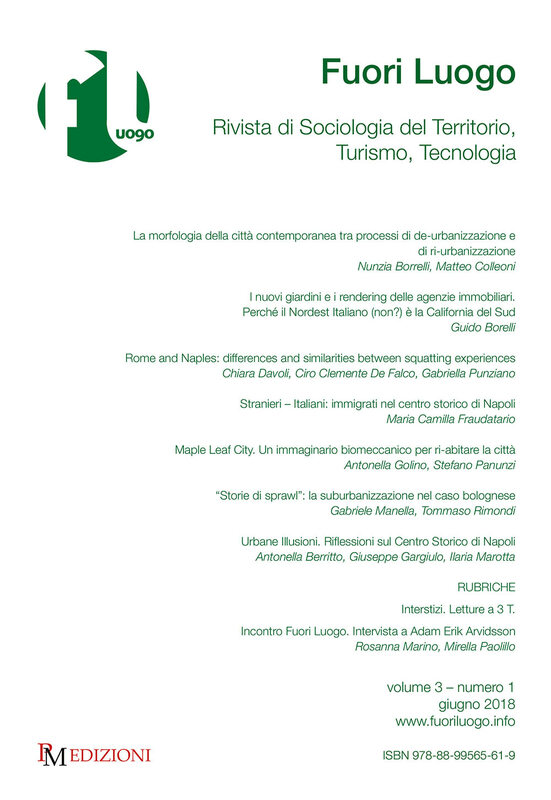 The Journal “Fuori Luogo” (Italian for “Out of Place”) – founded in 2016 – discusses and explores the logic and the paradoxes of the relationships occurring in the spaces, places and territories of the social experience.The Journal includes the critical perspective of sociology as a whole and discusses convergences and differences, compliances and non-compliances, appropriateness and inappropriateness of social actions, viewed in the light of the fundamental connection between human behavior and spatial context. 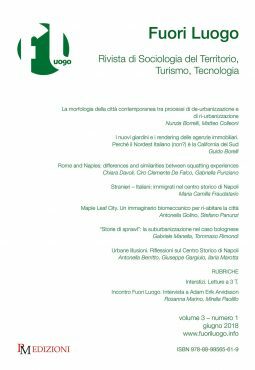 I nuovi giardini e i rendering delle agenzie immobiliari. Interstizi. Letture a 3 T.